I’ll start by suggesting you head over to Sarah Fit and check out her review of Recycle Studio. I pretty much echo the exact same opinions! I have really enjoyed taking classes at both Recycle locations (Boston Common and South End). The instructors are great – my favorites so far are Claire and John – and both studios are beautiful and always clean. I like that the bikes aren’t assigned because depending on how I’m feeling, sometimes I like to sit up front and sometimes I like to sit in the back, and I usually don’t know that mood until day-of. Photo courtesy of Recycle’s Instagram. The music in each class is always on point and the choreography keeps things interesting, so the 45 minutes go by relatively quickly. The only thing negative I have to say is, just like almost every other spin studio in Boston, the whole “riding to the beat of the music” thing doesn’t always work for me. Sometimes the RPM is so fast I feel like I’m going to fly off the saddle if I keep the resistance low enough to match that pace. But I just do my own thing as much as I can, and try not to feel self-conscious if my feet aren’t going as fast as everyone else’s in the class. I had tried FlyBarre a couple of times before joining ClassPass, and have really been excited about going back because it’s my favorite barre in Boston. I don’t sweat in any barre class like I do at Fly, and it’s really a great total body workout. The abs are absolutely (no pun intended) killer and I have yet to make it through an arm song without having to drop. I went this morning and feel absolutely amazing, despite the fact that I got up at 5:40am. (Full disclosure: that class wasn’t actually on ClassPass. A friend was kind enough to register me. That’s one con…not every class from a studio is avaiable for registration via ClassPass.) Your first class is free so if you’ve never tried FlyBarre before, I highly recommend signing up here and getting to a studio. Flywheel is fun too – I even had the chance to take a free class recently with my friends, courtesy of ProYo frozen yogurt! Like my hat? 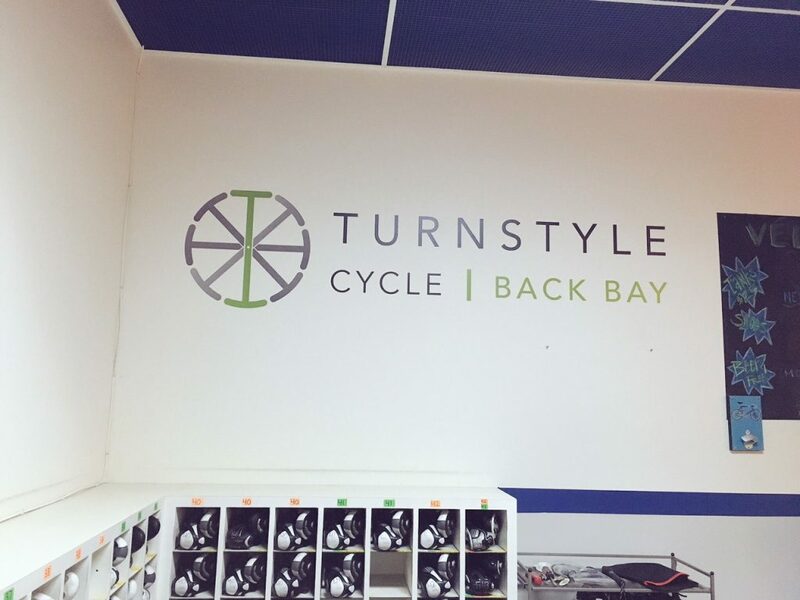 Recently Turnstyle Cycle in Kendall Square merged with Velo-City in Back Bay, to become one “mini-chain” of fitness. And they recently opened a new location too, in the South End’s Ink Block Apartments. While I attended the opening party for the Ink Block location, I’ve yet to take a class there. I’ve taken one class in Kendall Square, but my favorite location still remains the one in Back Bay; it’s the location I keep going back to. Part of that is due to convenience, but I also like that nothing there really changed during the transition from Velo-City to Turnstyle, aside from some signage (and new shoes). Every ride is still a theme ride (these are listed out conveniently on ClassPass), which is really fun. I also have always enjoyed the no-frills approach Turnstyle takes to spin. There are no fancy locker rooms, but there are passionate instructors that love to teach a fun class and give their students a good workout. And you won’t find a more affordable spin studio in Boston, if you’re looking for something outside of ClassPass. About a month ago I was browsing ClassPass trying to find a Friday morning class to (begrudgingly) sign up for, and stumbled upon a Pure Barre class at the Coolidge Corner location in Brookline. I had never seen a Pure Barre class on ClassPass before, and excitedly signed up. It’s at 7:10am, and since I live so close to Coolidge Corner, I can get there without having to wake up too early and get back in time to get ready and be at work by 9am. While FlyBarre is still my favorite, I can’t deny that this class is the perfect Friday morning workout. I’m tired I can handle getting through it, and always leave feeling accomplished – and ready to eat and drink all the Friday things. So those are my favorite ClassPass workouts so far, though I also am still loving Cyc Fitness, and have taken the occasional class at Coolidge Corner Yoga, Simply Barre, and Everybody Fights. I’m sure that my favorite classes will also change after I move, so maybe I’ll do a post in the future about classes in the North End and Charlestown. Is anyone interested in seeing that? I was not compensated for this post nor do I get any sort of discount from ClassPass. 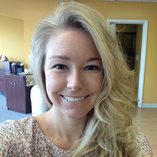 I just felt like sharing my favorite workouts, because there are so many to choose from here in Boston! Which of these classes do you think would most appeal to you? Did you hear about “ClassPass Gate”? What are your thoughts?